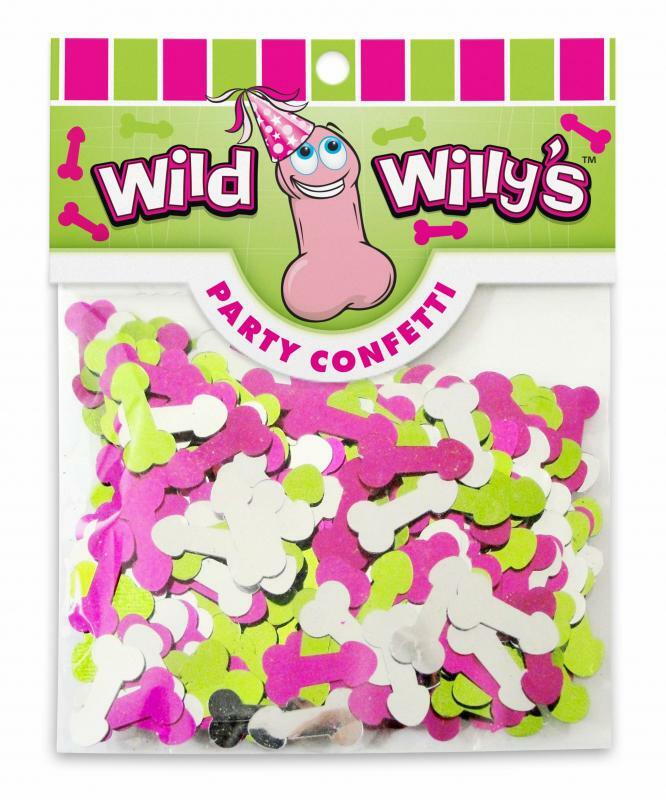 Wild Willy's Confetti comes in assorted colors. Confetti is cut out with party, ribbons, martini glasses. Decorate tables, plates with these fun shaped peckers. Wild Willy's Confetti from Ball and Chain.